Do you have a dream of living abroad? Have you ever think about studying in Europe? 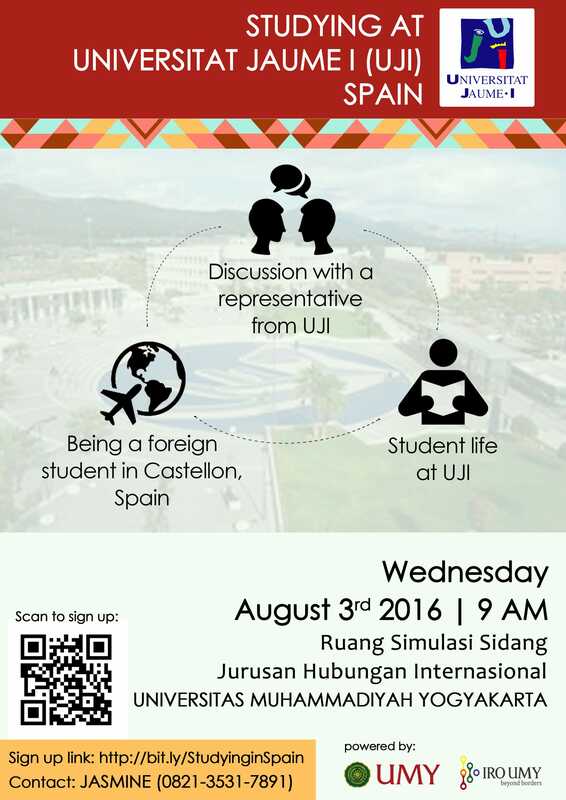 Sign up and get the chance to talk with a representative of Universitat Jaume I.
Universitat Jaume I is a well-known school in a city called Castellon de La Plana, located at the southern of Spain. Know more about the school and the city life directly from its local!